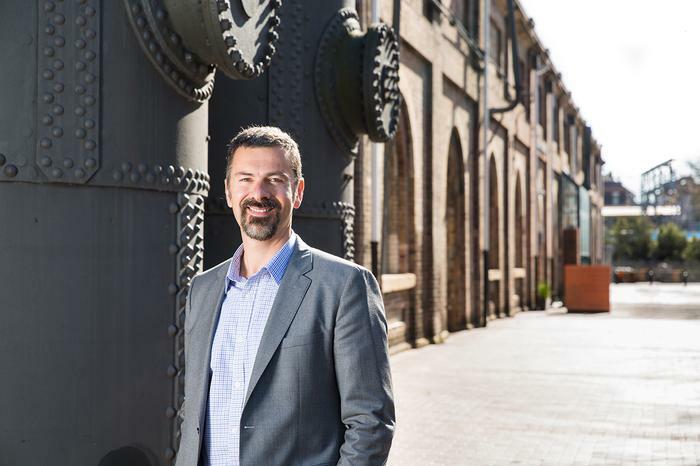 CSIRO's Data61 – the government’s digital innovation network – has celebrated its first birthday, bringing to a close what its CEO has called a “transition year”. Formed through a difficult and drawn out merger between National Information Communications Technology Research Centre of Australia (NICTA) and CSIRO’s Digital Productivity division, over the last 12 months the group has consolidated 13 separate work streams, slimmed down internal processes and put in place a new organisational structure. “But that's been going on while we've been delivering against strategy and delivering against third party obligations,” says Data61 chief Adrian Turner. Since June last year researchers have also had 350 scientific papers published, 51 patents granted (and 72 applications filed) and delivered on 349 ‘project milestones’. Around $135 million in new multi-year contracts have been forged with $50 million in contracts now being negotiated. Meanwhile, the group has become a global leader in regulation-as-a-platform, blockchain and confidential data analytics; a Data61 backed cyber-security hub has opened in Melbourne and four new agreements have been made with universities (bringing total to 27). When CSIRO finally absorbed NICTA last year, staff at both organisations had suffered months of uncertainty. Funding had been cut again and again, while job losses in the hundreds loomed near. “More than anything, what I hear from team, is I want stability. And so we've definitely given them that this year,” Turner told Computerworld. Work at Data61 has been aligned around three areas “where we think Australia has a competitive advantage”: Safety & Security (incorporating cyber security, bio security and food provenance); Smart Cities (which includes asset management modelling, autonomous systems, and using data for infrastructure investment decisions) and Data Driven Health. The overarching vision is to see the scaling of existing industries and creation of new industries, with a focus on these fields. “But what we don't want to do is to stifle creativity from our research community,” Turner notes. As a result, Data61 continues NICTA’s ‘spin-out’ tradition, where research forms the basis for start-ups which operate independently. On Friday, Audinate which provides audio systems that allow for the transport of high-quality media over standard data networks, listed on the Australian Securities Exchange in what was dubbed “Data61’s biggest pay day”. Turner was brought in to lead the group in 2015, returning from 18 years in Silicon Valley where he co-founded the Borondi Group and sat on the emerging technology advisory board for Accenture. Describing himself as “curious by nature”, Turner leads by example, ever-willing to “jump into situations, roll up my sleeves, get on aeroplanes”, he says. “The highlight of my time is the time that I spend with the team. The other parts of my role I have to do – dealing with you know internal management teams that I report to, dealing with stakeholders – is necessary. The piece that really invigorates me is the time with the team and the passion that they have when they talk about their individual research,” Turner says. Over the coming year, Data61 be “generous collaborators” in Australia and overseas, operating with a “growth mindset”, and “challenging others in the system to move faster and think bigger while making it easier for others to team with us”, Turner says. The only thing holding Australia back is its self-belief.